Dr. James Huang grew up in tranquil Millbrae, CA. His most memorable moment as a child was when he experienced his first Super Bowl in 1981. His love for sports propelled him to excel in basketball and baseball in high school. But after his junior year, being a professional sports athlete was clearly not in his blood. Dr. Huang eventually enrolled in UC Davis where he studied physiology. It was at UCD, the seed to pursue a career in the medical field was planted. Prior to enrolling at Tufts University School of Dental Medicine, he held a few interesting jobs. They ranged from computer tech support, UCSF lab technician, AT&T customer support, and dental assistant. His only regret was failing to become a vendor at Giants or Warriors games. While hopping from these jobs, he still managed to earn a Masters in Business Administration degree. Needless to say, the 4 years at Boston gave Dr. Huang a better perspective of what his life would be like after dental school. He knew that school gave him the fundamentals to be a dentist, but to become a successful and a well-rounded dental provider; he needed to improve himself daily with the latest technological advances and methods. 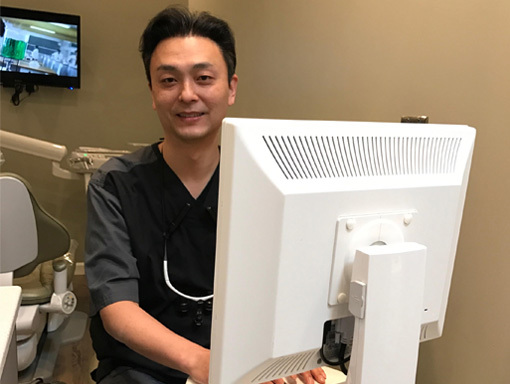 Dr. Huang decided not to specialize in a specific field due to his interest and proficiency in all aspects of dentistry. When he isn’t traveling around the country attending continuing education classes, Dr. Huang enjoys watching sports, HD movies, exercising and spending time with his wife Alina. They both love serving their neighbors in the Dublin, Pleasanton & San Ramon area of Northern CA (California).